I had a really fun class last week. 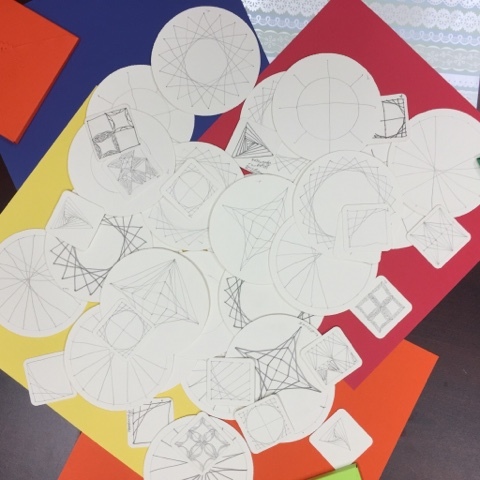 We focused on parabolic lines and stringing Zendalas®. I prepared these kits in advance. 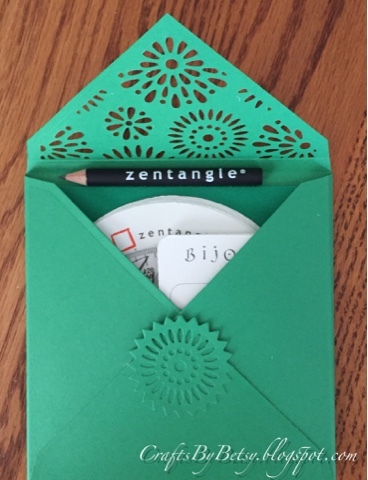 The boxes housed blank Zendalas, a drawing surface, protractor, bijou tiles, pencil and a bookmark ready to be tangled on. 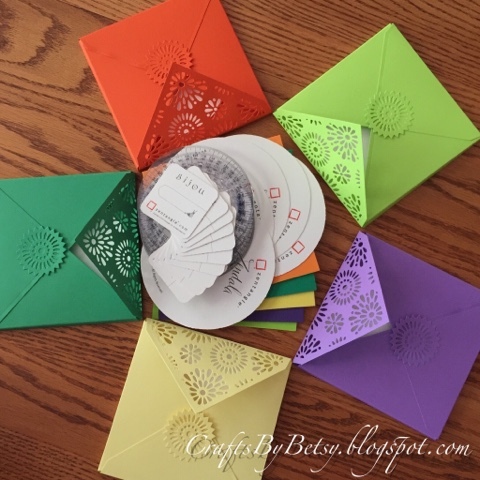 I used an envelope die by Sizzix to make the boxes, scoring additional lines to convert it from an envelope to a box. Wow, look at all those strung tiles! And all were done without the use of a straight edge! Cool right? Check back next week for a closer look at bookmarks I've been making. did the link above work for you? (where the text says Sizzix) It is a really nice die set. You do need a die cutter that accommodates a wide die (it's nearly 8 1/2 inches wide) You do have to add an additional score line -4 of them- to make it into a box. If you don't have a die cutter, you may check and see if your local craft store does. 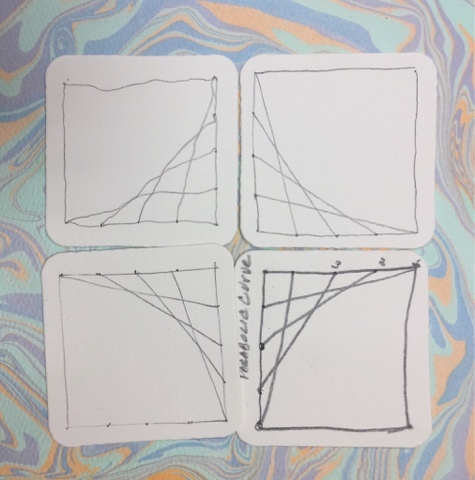 They sometimes allow you to use their dies and machine if you purchase paper from them...by the way, we mentioned your awesome blog in class, specifically the Paradox and more post!